We'd been eagerly anticipating this trip for months. Six months to be exact. In California, reservations for State Parks must be made six months in advance because the popular parks (most of them) can sell out in 4 minutes or so. Believe me. I've been there. But I digress. So exactly six months prior to our Spring Break trip, I sat poised, finger on mouse, watching the computer clock turn from 7:59 to 8:00 am, when I clicked quickly and reserved a spot at Big Basin State Park, the oldest state park in California. We were so excited to plan this trip there, and take the kids to see more redwoods and San Francisco as well. 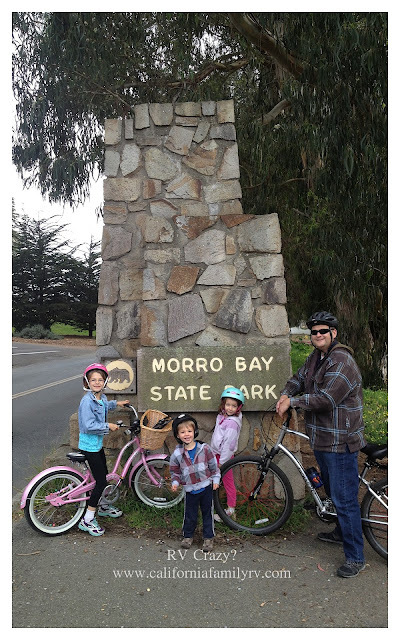 We decided to stay overnight at Morro Bay just to break up the drive a bit for the kids. My husband made that reservation a few weeks later, and also added two nights on the end of our trip for our big visit to San Francisco. We stayed at the San Francisco RV Resort in Pacifica for these nights at the end of our vacation. 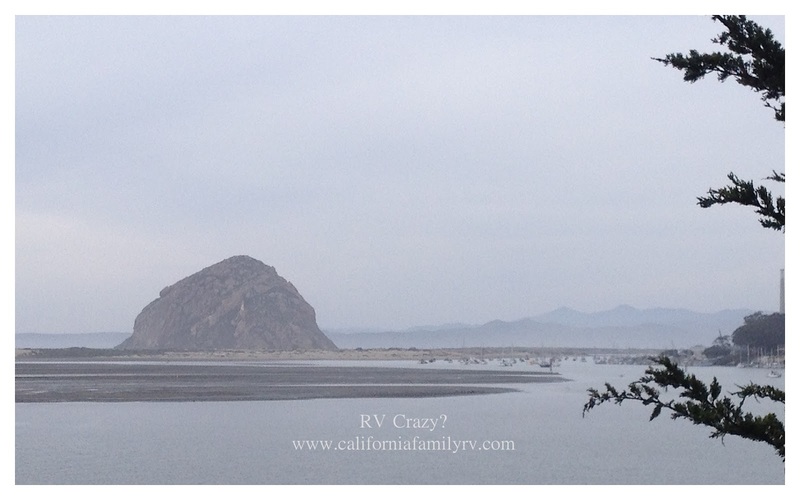 Beautiful Morro Rock in Morro Bay, California. As always, I thoroughly enjoyed the ride. I love to drive in the Winnie. Actually, I just love to drive. I love to ride along the road, and see all there is to see, and have deep conversations with my hubby, and listen to songs that evoke nostalgia, or make us laugh, or dance, or all of the above. These golden moments are broken up by countless requests for food, or movies, or snacks, or questions, or food, or drinks...but still, these are part of the memories. They tell me I will miss all of this someday, and I try to believe them, as I get up for the umpteenth time to feed someone. On our last trip, I talked to my 7-year-old daughter (who has historically never really been a fan of driving) about the joys of road trips. I explained to her that you can never experience the same road twice. Even if you go the exact same route, there are always new things to see. I noticed that she barely watched movies this trip, and really spent more time looking around, and talking with her dad and I. It was really fun to have her be more a part of the drive this time. I loved it, and I think she did too. The wildflowers were so brilliant. How can you not love this drive? 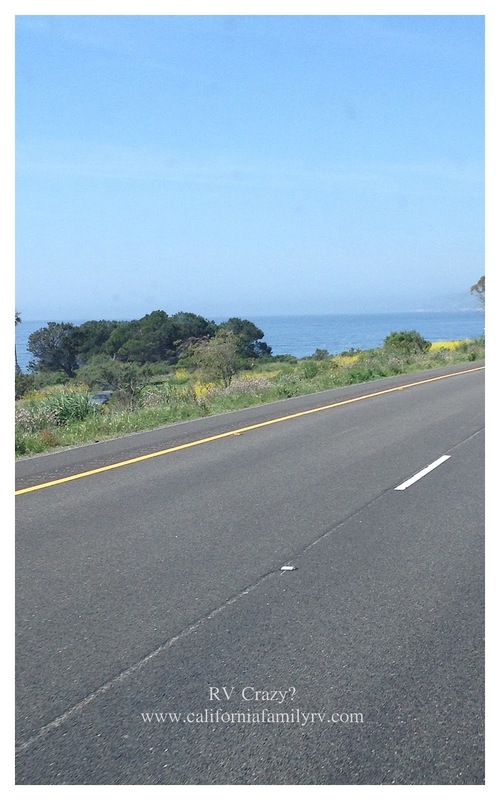 The road, the coast, the wildflowers. Awesome. 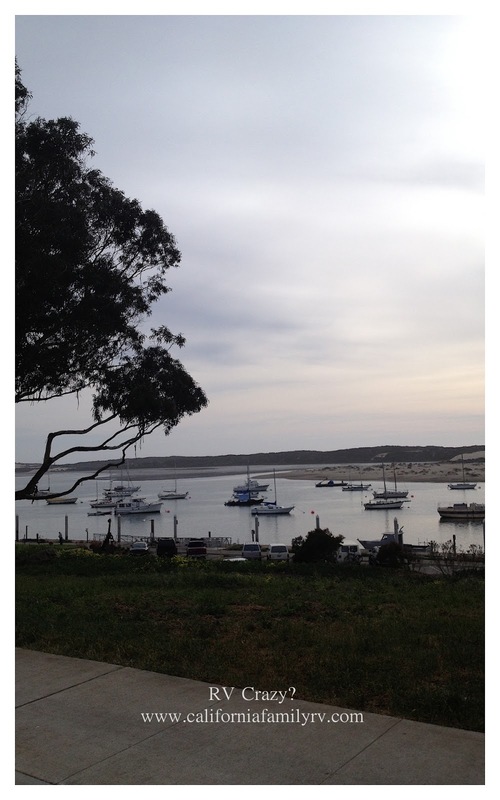 We made great time, and reached Morro Bay in the early afternoon. The kids did great on this drive, and it was really enjoyable for all of us. Before we knew it, we spotted the distinctive Morro Rock, and followed our directions to Morro Bay State Park. As we drove up to check in, a friendly worker asked us for our reservation and we gave him our name. He couldn't seem to find it. I admit, (in my head) I was slightly annoyed with the fumbling ranger, and immediately thought there was some error with the %$#@ junky state park reservation system that has let us down so many times in the past. I pulled up my reserveamerica account on my trusty smart-phone and showed it to the man. "See, here it is, right here." I was (again ONLY in my head) a little smug, and thankful to have my reservation proof in hand. I handed him the phone. He said nicely, "that says the 30th." Me, "ok." And I can embarrassingly admit now that at the time, I didn't even know what the date was. I was on vacation. We had made reservations for Spring Break. And it was Spring Break. And we were here. And wanted to check in. What was the problem? I looked back at my husband. Hubby and I looked at each other. Once again (in my head), "OH SHEITZER!! What have we done? About a million things raced through my head..."What idiots we are! How could we possibly have done this? What the heck? Where are we going to go? What about Big Basin? We will never get reservations now! The kids are going to be so disappointed. Where are we going to sleep? WHO does this? What about San Francisco? Why did I jinx our trip with my complacency? I KNEW things were going too well! AAAGGGHHHH!!!! The ranger was so nice. He immediately said that they had room in the park and that we could stay. He gave us a site and told us if it wasn't ok to come back and he'd switch us out. I honestly was very grateful for his kindness, but numb at the same time. I was trying to stay cool and collected so the kids wouldn't freak out. Yet, inside I was freaking out myself. My hubs was reassuring me that we would find a place to stay, and I knew that we would, but I was still so letdown that this trip that we'd been planning forever was unraveling in an instant. On our way to the site, we finally pieced together how we made such a monumental mistake: at the time we'd made the initial Big Basin reservations, we just chose the second week of Spring Break (our kiddo has 2 weeks off). But some very important work was later scheduled at hubby's job, so he thought he'd changed the reservation to the first week instead. Somehow he forgot to actually change the reservation, and the two of us both went along, thinking it had been done. 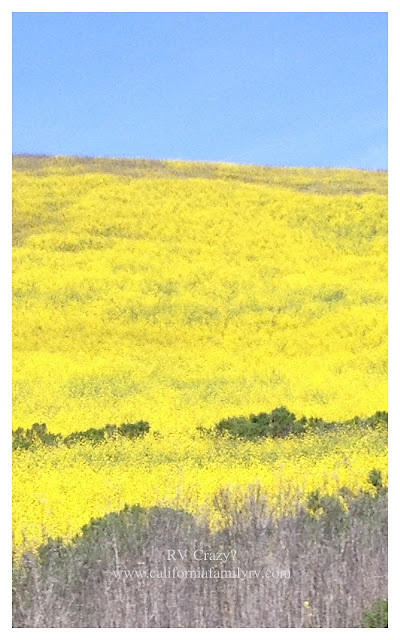 Unfortunately we were a week early for our Morro Bay and Big Basin reservations. Maybe as part of my stellar pre-trip planning, I might have wanted to actually CHECK the dates of our trip, eh? Next time, for sure. While my hubby took the kids out to run around and stretch their legs, I frantically tried to call Big Basin and see if there was some chance we could get a first-come, first-served spot, or a cancelled reservation. After a 20 minute wait on the phone, I finally got someone at the actual park. She said they were completely full, but sometimes you could get a non-reserved site if someone left and it wasn't already reserved. We would have to be at the park by 9 am to have a real chance at any spot. Since it would realistically be about a four hour drive for us, we decided to try to find an rv park nearby, and stay there for one night, instead of getting our kids up in the middle of the night to drive there. 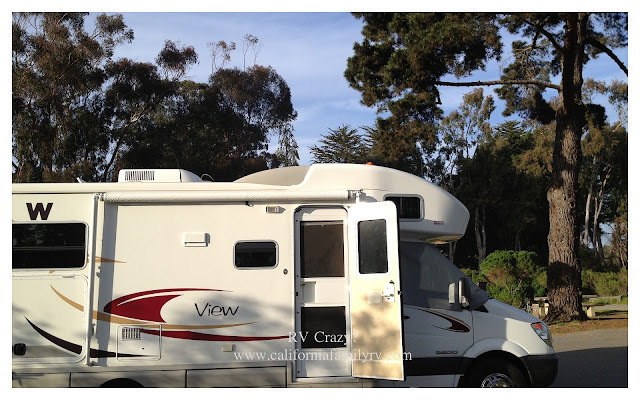 Fortunately for us, there was great reception in Morro Bay, and I had also downloaded an app called RV Parks (rvparking.com) at the recommendation of a friend prior to our trip. This little app saved us! I quickly found a KOA on the coast called, Costanoa KOA in Santa Cruz. 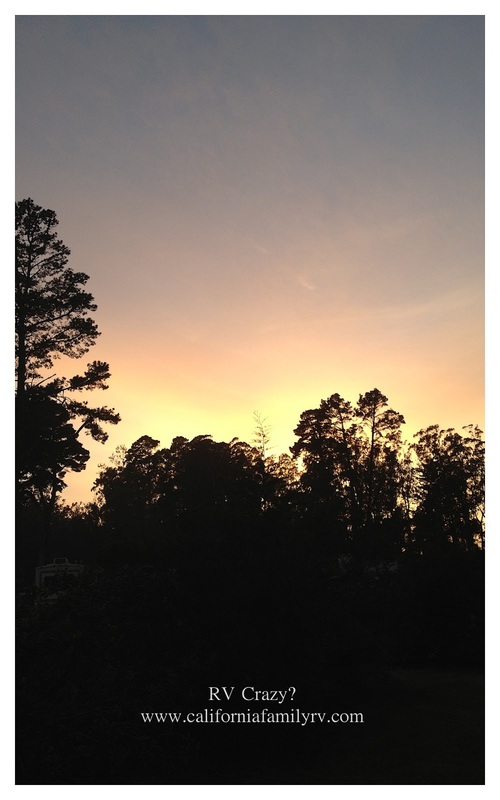 It got good reviews, and was just over an hour away from Big Basin. I made a reservation and went out to join the family. I've gotta tell you, this was a huge challenge for both my husband and I. I know it's not obvious from this particular blog post, but we are planners. We like to have things relatively mapped out, and don't normally fly by the seat of our pants. However, we had a choice here. We could be all stressed out and ruin the trip for ourselves and our kids, or we could try (and I mean TRY, because it was so against both of our natures) to relax and just enjoy the moment. As I said to my hubby (as much to reassure myself as him), "This is why we got the Winnie, right? We can stay anywhere. Let's enjoy the adventure, ok?! He was a wonderful sport. I really have to give him credit. Neither of us blamed each other (although we both did feel like idiots ourselves) and we just resolved to let it go, and have as much fun as we could. We took the kids on a bike ride and tried to reach the elusive Morro Rock. It was further than we thought, and the only road (we found) to bike on had very fast-moving traffic and not very good bike lanes. It was a little un-nerving so we went as far as we could with the kids. Our obligatory State Park picture. Morro Bay. I can't resist a harbor filled with sailboats. So pretty. So, here's where I kinda' fail as a blogger too, because while I enjoyed our stay here, in all honesty, I can't give an impartial review of the campground. I was having fun, but still nervous about getting reservations at Big Basin, so my mind was distracted. So here you go: sites were paved and level, very easy to get into. There were cute little quail running around the park, and it was pretty and scenic. But I can't really rave about the park, because all I can think about is, "Will we get into Big Basin?" I guess I will just have to come back to Morro Bay again and give it a fair trial.